Happiness is Us. Our substance is happiness. Yet, everyday, we get up with resolve to discover that elusive happy moment. Hopefully this story will help us all remember the ease at which we can locate happiness. Stella loved her mother. She tried to do all the things her mother asked of her. Stella’s mother loved clothes and each day she prepared to offer Stella a most lavish coat that she insisted Stella wear. The first day, she dressed Stella in a pale red, magic coat. Everyone in the village knew about this particular coat. The coat’s purpose was to teach the wearer how to be popular and be accepted by everyone else in the village. This coat magically sent directives as soon as the person put the coat on. The thing is, the longer Stella wore the coat the heavier it became and although Stella felt confident she would be the most popular in the village, she experienced a feeling of frustration and a bit of anger , emotions she not encountered before. She didn’t understand. As she wore the pale, red magic coat, she found that people came to the door to talk with her. They smiled at her and giggled at whatever she said. They invited her to the village dance and asked her if she would sing for them. They complimented her hair and her lovely coat for somehow they realized it was what was attracting her to them. Still they felt happy around her and loved sitting and chatting. But Stella became more and more anxious and even a little irritated that these villagers were hanging around her house. At the end of the day she was so tired she took off the coat and went to bed. So her Mother took down another coat. This time she asked Stella to wear the purple, magic coat. The magic in this coat would teach Stella to create an appearance that would please the villagers. It would also teach Stella to clean and cook, walk and talk in a way that was more acceptable to all the villagers. Stella felt the weight of this coat as she put it on. Still, she found herself making up her bed and sweeping the floor. All the while she wondered if she were making the bed and sweeping the floor the way all the villagers would want her to do these things. She began to feel anxious again and a little irritated. But she could not stop. She showered and washed her hair. When her hair had dried she combed it over and over until it look beautiful and she put a flower behind her ear, just the way she knew the villagers would like her to. When she looked into the mirror she did not receive any satisfaction. She hoped the way she looked would please all the villagers. As the day went on she grew more tired and more irritated. She smiled as she offered her Mother’s friend a cookie she had just baked, but inside she wondered if the friend would now accept her. Her friend smiled back and said, “Stella, you are a fine cook. Is there nothing you cannot do? !” But Stella did not feel very happy. She felt very nervous and hoped she could continue to please her Mother’s friend. By afternoon she felt exhausted and sad, and she did not know why. She sat outside and waited for night to come. Finally, her mother told her she could take the coat off and Stella headed straight to bed. Once again, Stella felt her happy self as she woke up. She stretched out and looked again at the trees and flowers and birds and even a little bee who was buzzing around a lovely rose. She thought about how much she loved waking up and how much she loved all the people in the village. Stella did what her Mother asked. But this time the coat felt like she was wearing absolutely nothing! She felt exactly like she did when she first woke up. She was filled with quiet happiness. And so it was, Stella learned the lesson that everything Stella needed to learn came from wearing only the coat love. 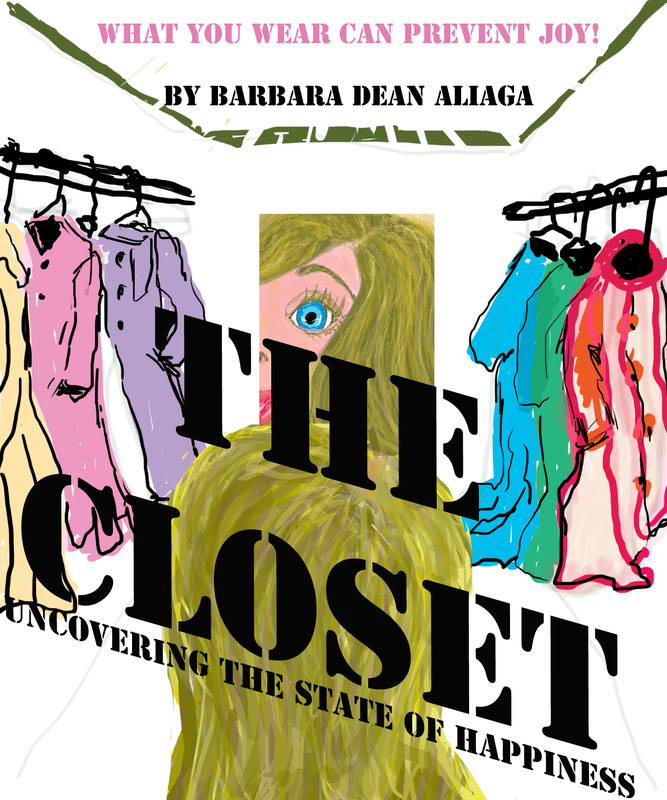 She closed the closet where all the other coats hung and hoped she would never wear them again. It might seem like a silly story, but each time you experience sadness, irritation, anger, anxiety, stress and the like, think of this little story, know you wearing something that is an obstacle to your happiness. You are trying to fit in to someone else’s idea of life and you are leaving your natural ability to live a life of love. Take off the exterior and you will be left with everything: love.